Voolium is a Modern, Clean Coded and Flexible WordPress Theme. For your business, your agency, your music, your portfolio or anything else you’re in, Voolium is just all you need to build your presence online without thinking about the technical stuff. 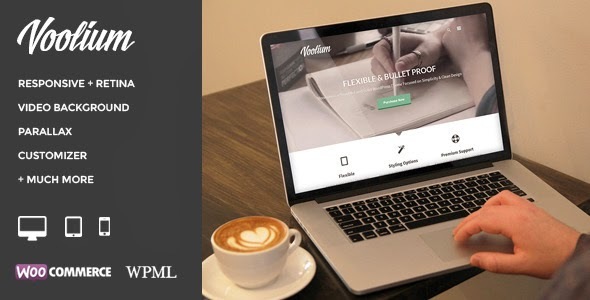 Item Reviewed: Voolium - Flexible Multipurpose WordPress Theme 9 out of 10 based on 10 ratings. 9 user reviews.